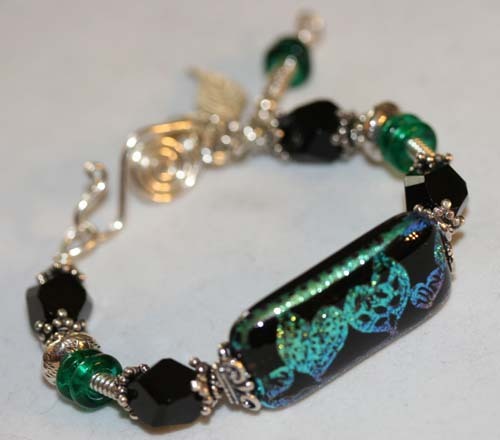 Dichroic glass & sterling silver bangle bracelet. Sterling silver bangle and clasp are handmade. 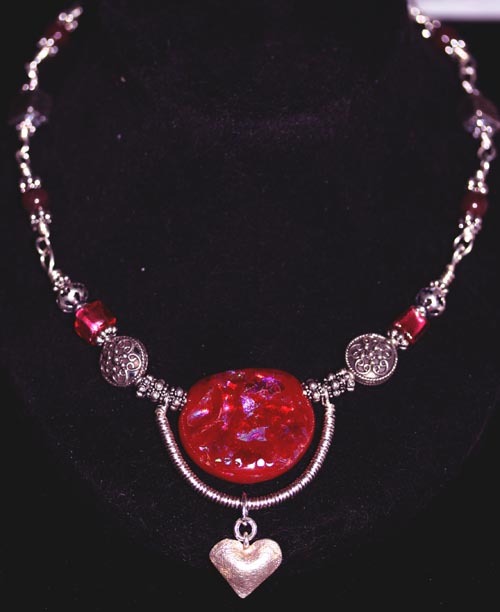 Stunning Scarlet Dichroic glass focal bead is part of what makes this a stand-out necklace. 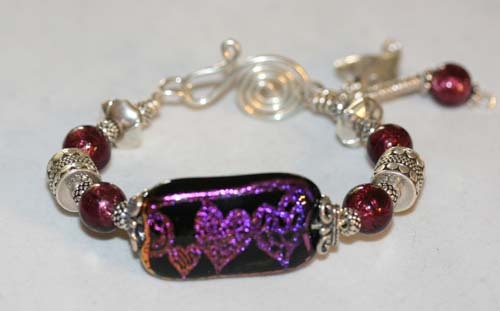 Sterling silver wire is hand-wrapped with sterling silver components and rhodenite beads. 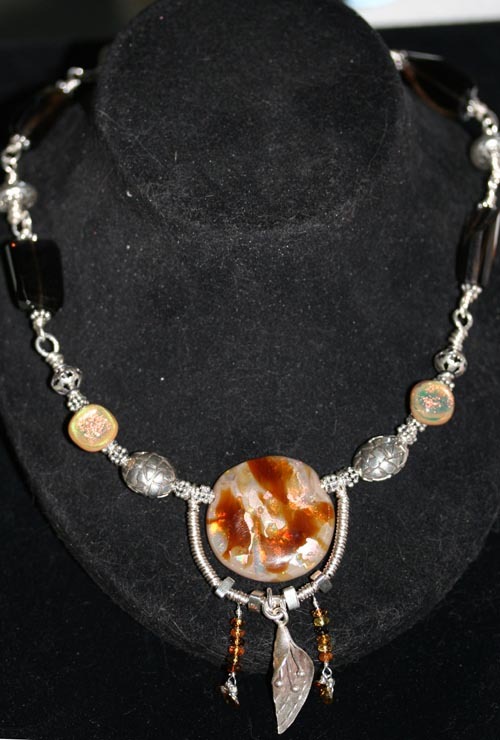 Stunning Beige/Amber Dichroic glass focal bead is part of what makes this a stand-out necklace. Sterling silver wire is hand-wrapped with sterling silver components and Smokey Quartz chunks. Dangling below the focal bead is sterling silver leaf and tourmaline beads. 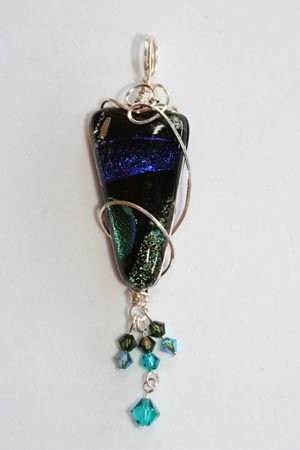 Blue Green Dichroic Pendant handmade by a U.S. Artisan. 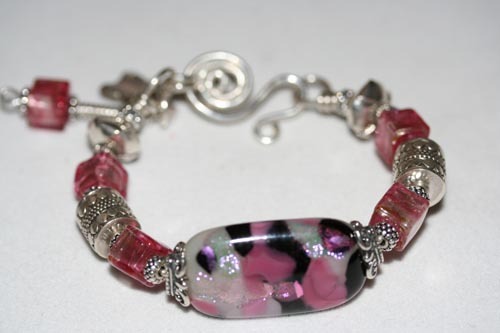 Hand wrapped with Sterling Silver wire with dangling Swarovski crystal beads. This pendant looks wonderful on many kinds of necklaces (satin, sterling silver, ribbon, etc.). 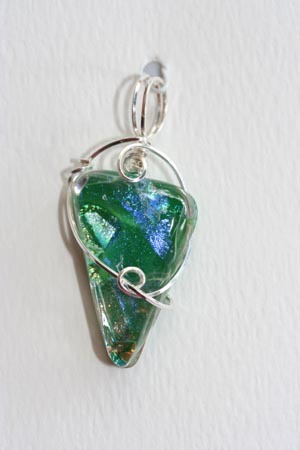 Light Blue Green Dichroic Pendant handmade by a U.S. Artisan. Hand wrapped with Sterling Silver wire. This pendant looks wonderful on many kinds of necklaces (satin, sterling silver, ribbon, etc.). Blue / Rust Dichroic Pendant handmade by a U.S. Artisan. Hand wrapped with Sterling Silver wire. 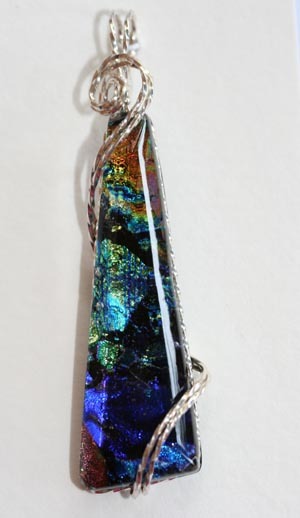 This pendant looks wonderful on many kinds of necklaces (satin, sterling silver, ribbon, etc. ).